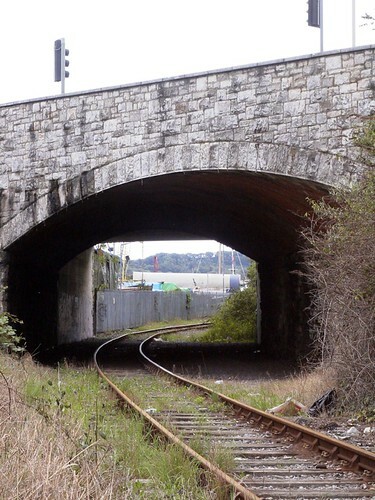 Just to the right of the bridge in the last post is this one over the Cattedown Branch Line. This line is still in use, although it does not see a lot of traffic! From this side it still seems original although the other side it seems to have been rebuilt slightly probably during road widening. 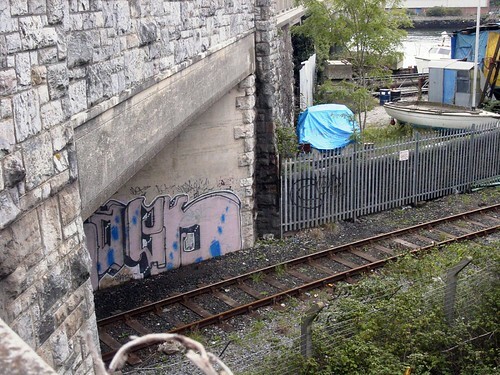 The boat yard on the other side of the metal fence is on the old line which passed under the previous bridge. This photo shows the relationship between the two railway bridges. I am standing at the point where the two lines originally crossed and the old crossing gate still survives! 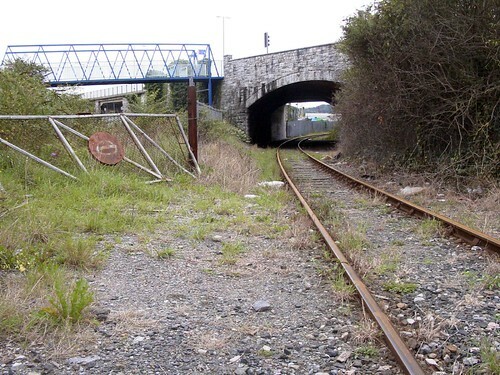 Behind me the old track would have gone into what used to be the old Laira bus depot of Western National.